Paid sick leave questions continue to trouble many employers who want to comply, but are unsure about certain parts of the law. 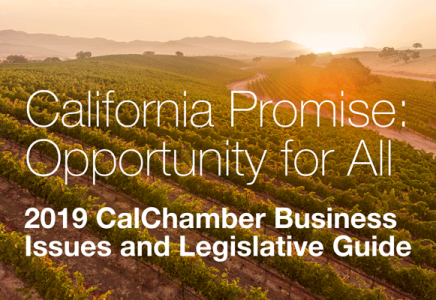 The latest CalChamber Capitol News Report, featuring Erika Frank, CalChamber vice president, legal affairs, and general counsel, and Jeff Belaski, general manager of the Waffle Experience, calls attention to how the PSL policy is implemented, accrual methods, record keeping and penalties. Even though the paid sick leave law received a lot of press, some businesses still seem surprised about the new law, perhaps thinking it does not apply to them. Unlike other leave laws, such as the California Family Rights Act (CFRA) or federal Family and Medical Leave Act (FMLA), there is no size requirement before the PSL law applies to a company. The law applies to all employers, big and small. Moreover, PSL must be provided to all types of employees: part-time, hourly, temporary, seasonal, exempt and nonexempt. Any employee who has worked in California for the same employer for 30 or more days within one year from the beginning of his/her employment will be entitled to PSL. Some employers may be under the impression that if they already had a generous paid sick leave or paid time off (PTO) policy in place, they don’t need to do anything to comply with the new PSL law. But this is probably not true. Many policies that voluntarily provided paid sick leave or PTO in the past did not allow employees to use the time to care for all of the family members who are currently covered by the new law (see discussion below). Policies may need to be updated to eliminate illegal limits on how PSL can be used. Many paid sick policies in effect before the new law didn’t cover part-time employees, who are now covered. Pre-PSL policies also may contain insufficient accrual rates; specific rules apply regarding grandfathering in previously used accrual methods. Employers will need to carefully compare any pre-existing policy with the requirements of the new PSL law to make sure the policy complies. Employers have various options for providing the sick leave benefit. Generally speaking, these divide themselves into accrual options (such as the option to provide one hour for every 30 hours worked) and a lump-sum option where the employer places the full amount of leave (three days/24 hours) in the employee’s leave bank at the beginning of each year of employment, calendar year or 12-month period. If your company chooses to use an accrual method, you should consider whether you want to impose a cap on how much PSL an employee can accrue. Under the statutory accrual method of one hour per every 30 hours worked, full-time employees will accrue nearly nine days of paid sick leave each year. Those days will carry over to the next year and continue to accrue unless you impose a cap. The PSL law allows employers to impose an accrual cap of 48 hours or six days. Once the employee reaches this cap, he/she will not continue to accrue PSL until he/she has used up some banked time. The law also allows an employer to limit the amount of PSL an employee can use/take in any one year to three days or 24 hours. This is separate from the cap on accrual. An employer can both cap the amount that is carried over to the next year and limit the amount of PSL that an employee can use in any one given year. Inform your employees of any cap on accrual or limitation on annual use that your company has enacted, preferably through a written policy. Paid sick leave isn’t just for your employee to use when he or she is sick. Your employee also can use PSL to care for a child, parent (including parent-in-law), spouse, registered domestic partner, grandparent, grandchild or sibling. Paid sick leave may also be used by an employee who is a victim of domestic violence, sexual assault or stalking. PSL is protected time off. Employers can’t retaliate or discriminate against employees who use or try to use PSL. Employers will want to look at any absence control policies they have in place. Unless certification is required pursuant to another leave law, no provision in the PSL law specifically allows an employer to require medical certification for paid sick time. PSL must be paid no later than the payday for the next regular payroll period after the sick leave was taken. Calculate paid sick time for a nonexempt employee in the same manner as the “regular rate of pay” for the workweek in which the employee uses paid sick time, regardless of whether the employee actually works overtime in that workweek. Calculate paid sick time for an exempt employee in the same manner as wages are calculated for other forms of paid leave time. The PSL law requires you to keep records documenting the hours the employee worked, the paid sick days accrued by the employee and the paid sick days used by the employee for at least three years. Amendments to the mandatory paid sick leave law specifically state that, for record-keeping purposes, an employer is not obligated to inquire into or record the purposes for which an employee uses paid time off. Several cities, including San Diego, San Francisco, Emeryville, Oakland, and Los Angeles enacted local ordinances providing for paid sick leave. Employers with businesses in a city with a local PSL ordinance need to comply with both the state and the local law. For each provision, protection or benefit, employers will need to provide employees whichever is more generous to the employee.